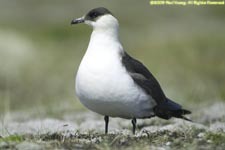 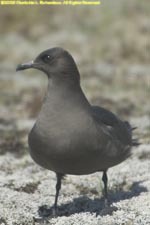 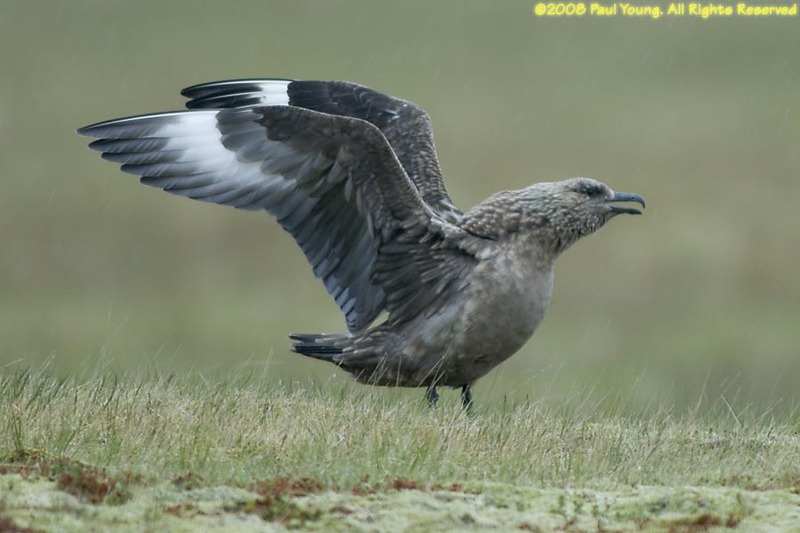 Skuas are large, aggressive, gull-like birds. 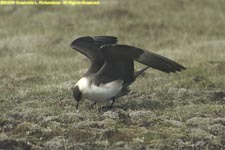 They pursue other birds and force them to give up their food. 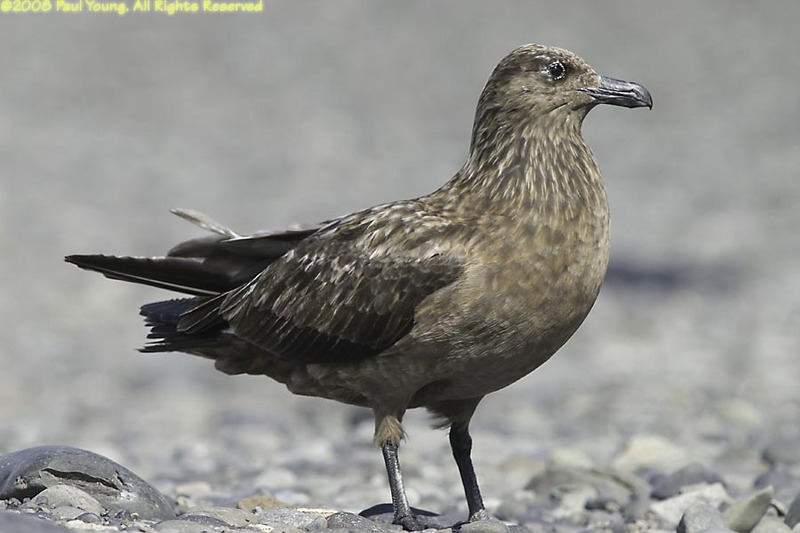 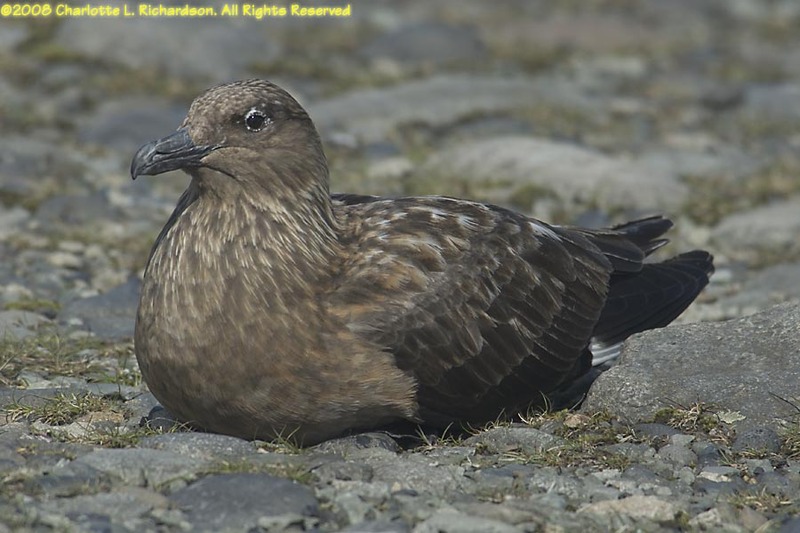 Great Skuas (Catharacta skua) are larger and more heavily built birds. 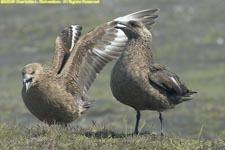 They are agile and powerful fliers. 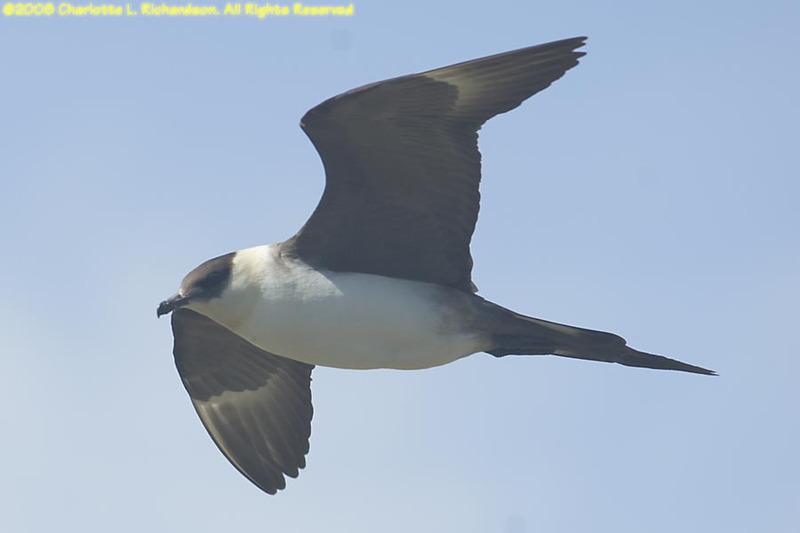 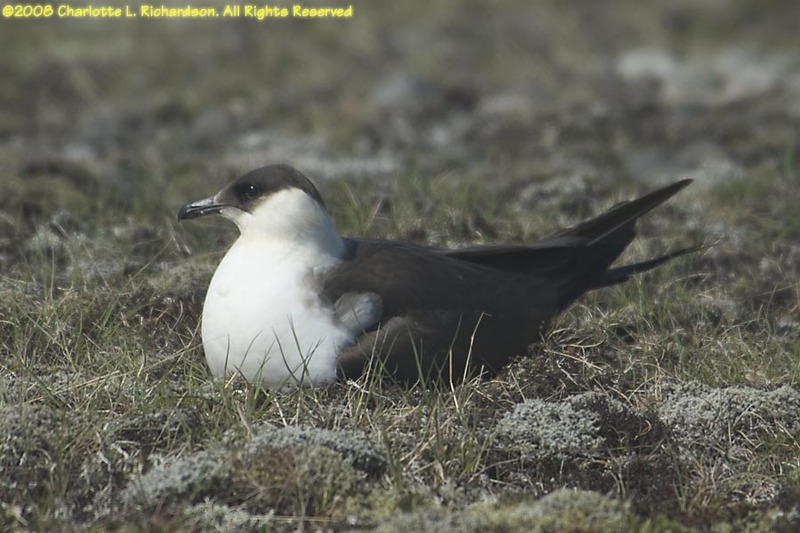 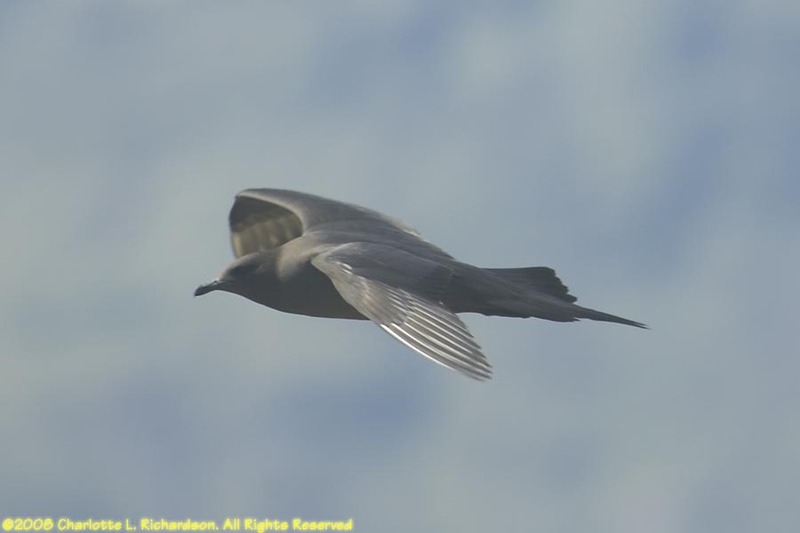 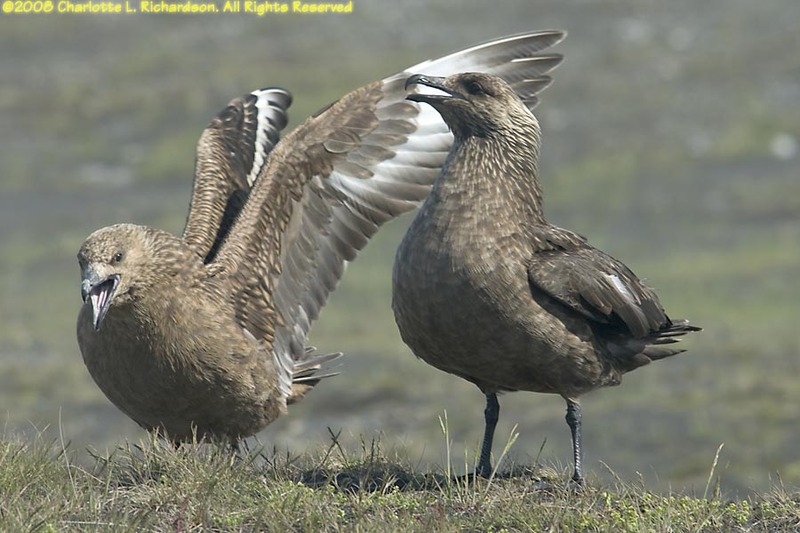 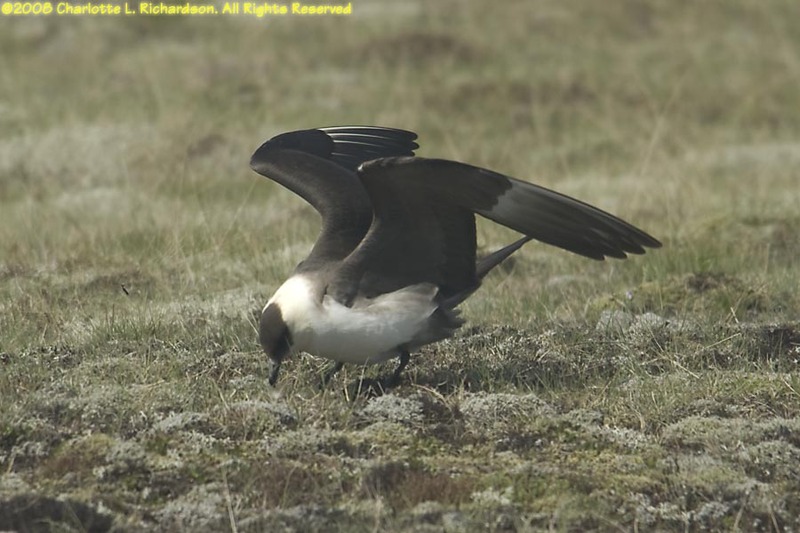 Arctic Skuas (Stercorarius parasiticus) are smaller and more slender with long central tail feathers and long wings. 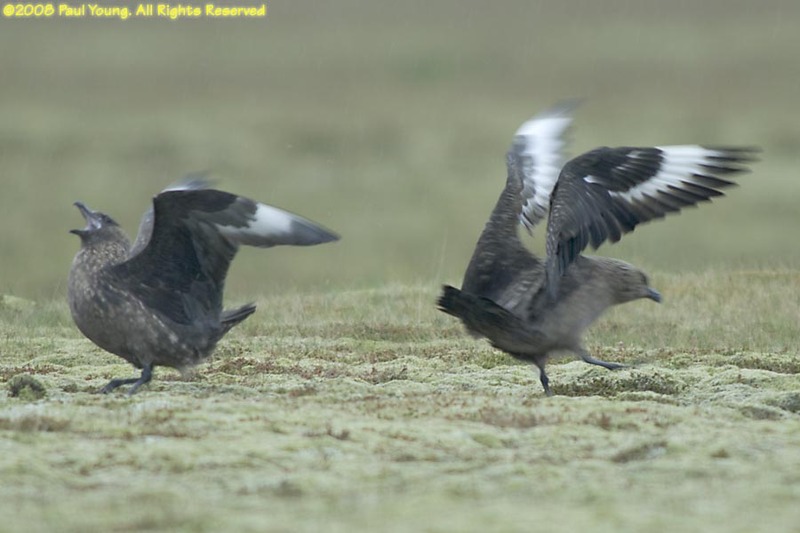 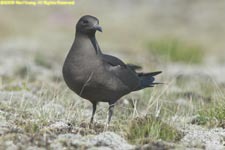 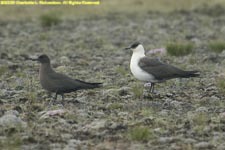 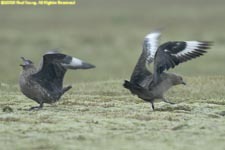 There are light and dark morph arctic skuas.